When a day is not started with a right set of mindset and emotions, it can end up in a way you least want it to be. Recently, I was having a casual talk with one of my close friend, Mark. He told me he was analyzing about a day that he called the worst day of his life. He woke up late in the morning and was rushing straight to dress up for work. He walked down the stairs and found his wife, feeding her kids and packing their school lunch. With the thought to reach office as quick as possible, he grabbed his sandwich and started searching for his car keys. He couldn’t find it. He was shouting at his kids and wife for lost keys and somehow after half an hour he found it and just left home. Without kissing his wife or saying “Have a great day at school” to his kids. He was stuck in the traffic with his phone ringing on and on…it was his Boss, waiting for him to start an important client meeting! At his rage soaring high, he honked so bad and the guy in the front car started screaming foul languages at him…. You can imagine what happened next, dirty quarrel on the road….reaching late for the meeting and finishing it off on a bad note etc. This guy was overwhelmed with emotions. Emotions of fear, rage, discomfort, sadness, and disappointment. If you fail to control your emotions, you will lose your job, relationships, and life. Now, how do you master what you are feeling? How do you control the emotions that can trigger negativity to your day? Take a moment and identify what you are feeling right now. Is it anger? Sadness? Frustration? Take a deep breath and be aware of your current emotions. What made you feel this way? Ask yourself questions about why you are feeling it. Is it because of you or someone else? Is it something that has happened in the past? Knowing the why part will help you understand the cause of this emotion. If you have understood the message your current emotion is sending you, you will feel better with right people around. If needed, get the help of a support group or your close family member to discuss the matter. Be confident about yourself that you really can handle it. Get excited to do the next step to make you feel positive. See the bigger picture and decide on your next step that is wise and win-win for you and the people around you. But we often take wrong actions when wrong feelings filter through our mind without restraint. Take a few simple steps to calm your inner spirit and quiet your uneasy mind. To master our feelings, thoughts, emotions, and reactions, means to be in control of our own life. 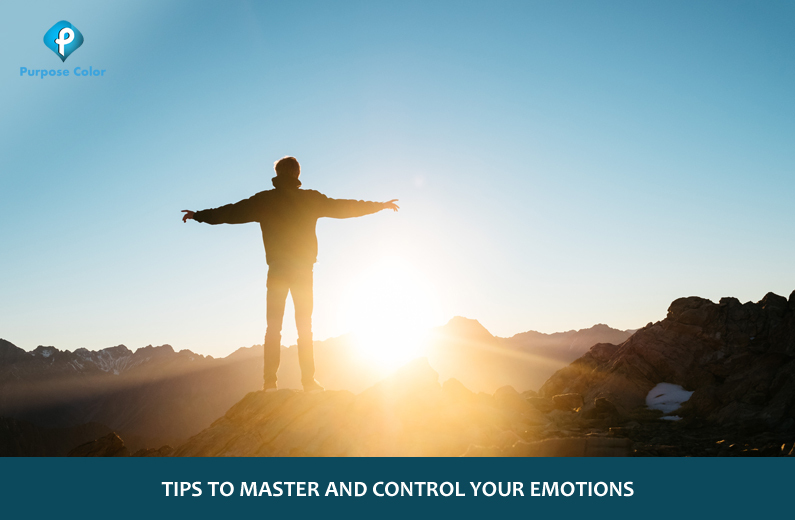 Having control over our emotions helps to consciously select what feelings we want to experience. Intelligence is having the right tools to master your emotions. If you find yourself struggling to cope up with emotions or simply want to be aware of your thoughts, check out this app. I’m quite certain I’ll be told a lot of new stuff right right here! ThankYou for your response. We will be updating our blog weekly. sitte would like to keep updated. Would love to incessantly get updated great site!